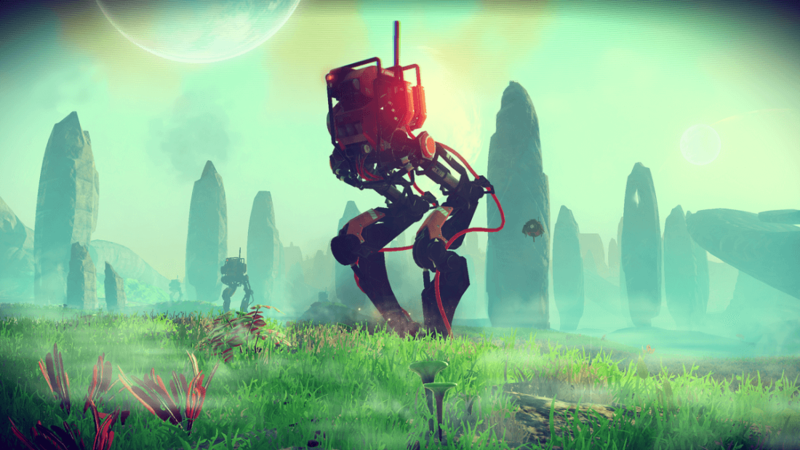 After becoming one of the most controversial game releases of all time last year, the furor over No Man’s Sky finally seems to have abated. Now, in its first news post since December, Hello Games has announced some new content for the game: The Path Finder update. Set to arrive sometime this week, the only thing we know for certain about Path Finder is it will introduce a new vehicle to the game (no images of it yet) that will “aid home planet exploration,” so expect it to be some form of land buggy, perhaps one similar to Mass Effect’s M35 Mako. The company didn’t reveal what else Path Finder will add. The full patch notes will arrive whenever the update is released. "Shortly after we launched the Foundation Update, we released a number of patches to address issues reported by players before beginning work on the Path Finder update. We were surprised and excited by the response to Foundation, and we have been listening carefully to community feedback since then," writes Hello Games. "To those of you who have spent time sharing feedback, whether positive or negative, we are listening." There’s no mention on the firm’s website about last week’s surprise Game Developers Choice Awards incident. Hello Games won the award for innovation at this year’s ceremony, but the team didn’t expect the accolade, and as such were eating dinner when it was announced. It was left to host Tim Schafer to accept the prize on their behalf. While Path Finder will introduce more than just a buggy, the vehicle does seem to be the update’s most notable addition to the game. Whether it draws back lapsed players remains to be seen, but it certainly won’t have the same effect as, say, introducing a true multiplayer mode.